Runescape is a MMORPG that was first released in 2001. The game has been around for nearly 18 years. The original Runsescape game has over 200 million players worldwide and is considered the biggest free online MMORPG in history. The goal of Runescape is to explore worlds and overcome challenges while meeting people along the way. Other versions of this game were given to the public since its initial release. One version is known as Old School Runescape. This version of Runescape is derived from a 2007 update of the game. It was a backup code source for Runescape when the game was being upgraded during the late 2000s. Old School Runescape was not released until 2013. Don’t forget that Old school Runescape is also known as OSRS and it is also called 2007Scape. This version of the game was subject to a poll to determine if players wanted to use it. The poll was also used to determine if players could have free access to this title. The game now has free-to-play servers and pay-to-play servers. Users can use their accounts to access Runescape Classic (the first version of Runescape) and OSRS. The game raised enough signatures for it to be free to play for users. There is also a development team that will aid with maintenance and other issues if the need arises. Runescape does not have microtransactions. The only exception to this fact are the membership bonds. A membership bond allows players to play for a game by using in-game resources. Players are also prohibited from summoning creatures, dungeoneering, divination, or invention spells. There are few minigames and the game will feature discontinued items from other Runescape titles. Players can make in-game purchases with OSRS gold. The game also has quests. Turn based combat is how players will fight and deal with in-game monsters and other challenges. 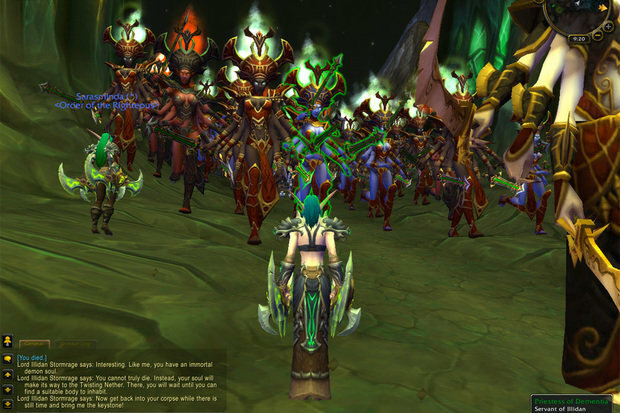 Players can play independently or as a member of a group in a quest. The game also has ports for iOS and Android players. This way players can utilize their mobile devices to access the game. Keep in mind that Old School Runescape is a browser-based title. The unit is written in C++ and it has basic graphics. Users also have access to OSRS news which provides lots of information to player about upcoming events, in-game specialties or other points of interests they should know about. Runescape Classic is being phased out and OSRS plus Runescape 3 are going to be the only ones left. Game developers are getting rid of the original Runescape because they will no longer provide service to keep the game free from bots and from the ever-increasing security threats have been creeping into the game. Runescape Classic should be gone by the end of the summer. Old School Runescape will continue to be a great MMORPG. Players will be able to interact with each other and have fun anytime they decide to log onto the servers. A beta release was made available to fans of the game back January of 2018. Other updates for Runescape will take place as well. Mods are made available and they too will be released at selected dates. Old School Runescape will continue to provide great gameplay as long as people demand this title.